This was a quick small project. This bathroom was 16 years old if I remember correctly. We honed through three grits of diamonds to remove all damage and then polished to a high sheen. Quite a dramatic difference! When the term marble polishing is used it rarely means that polishing alone will restore a floor. That was the case with this one as well. 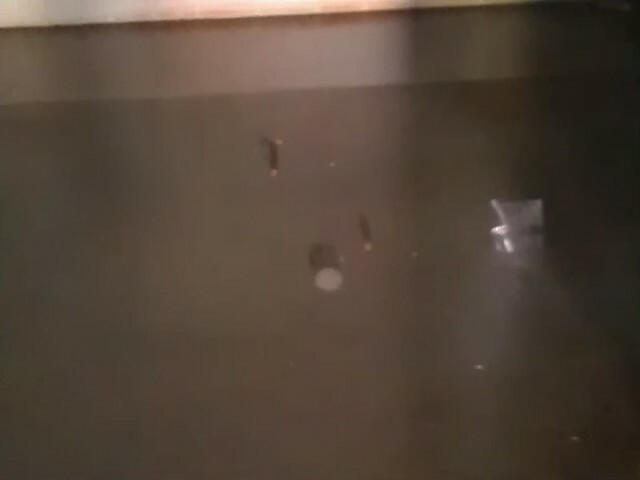 If there are scratch marks then some type of honing will be required at the least. 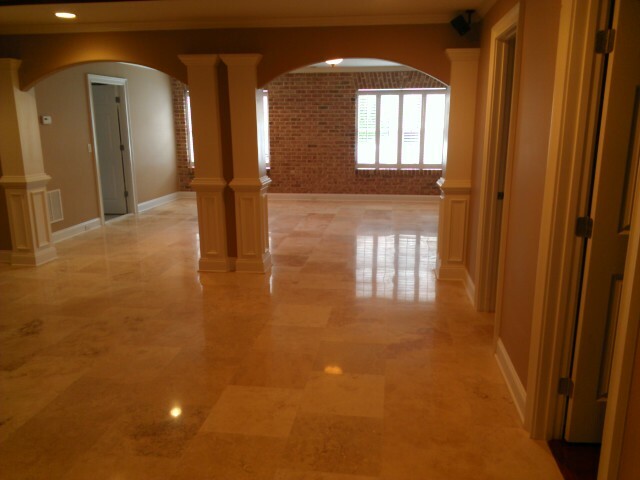 Keep in mind honing of marble floors is done in a damp environment, so there will be absolutely no dust! With these floors we stripped, cleaned and then sealed in small areas. 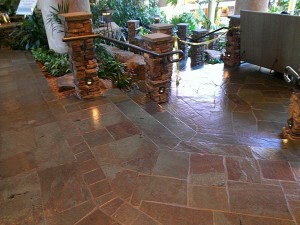 Slate cleaning or slate stripping is a frequent call to us, so I wanted to post a project showing these materials. Enjoy! This was a project at an assisted living facility. 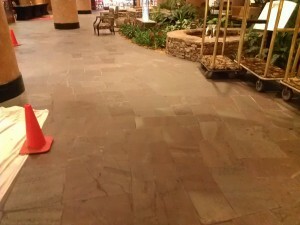 The previous management company had put wax on these floors. As with some of my previous writings, it is very disappointing when I run into these situations. 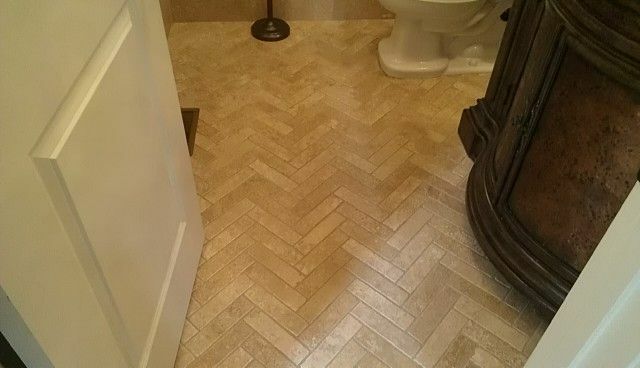 Not necessary and certainly does not enhance the look or function of many floors that it is applied to. These floors are a wood look porcelain tile. 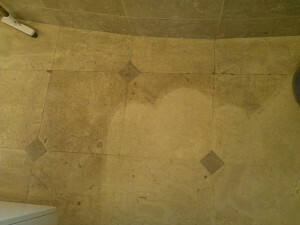 We completely stripped off the sealers, then steam cleaned the tiles and grout lines. The color of this floor lightened at least 10 shades making the hallways and rooms much brighter. Awesome project – I met a couple older Marines too!! 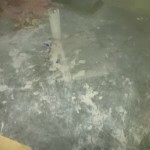 This project is pretty typical, a new homeowner taking over a floor that was never maintained or looked after whatsoever. 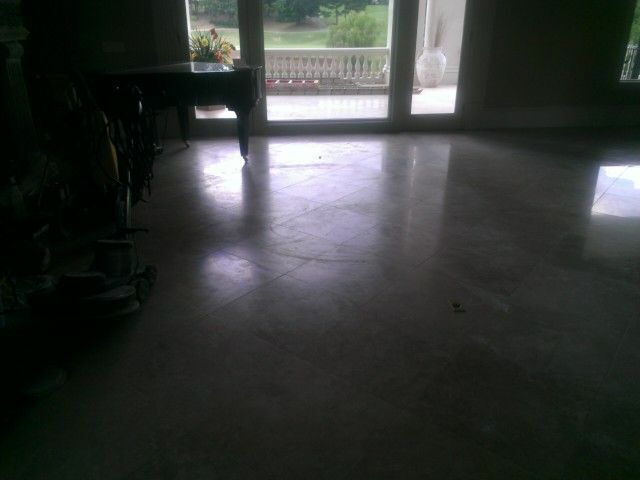 Upon inspection this floor still had grout haze covering the floor from its initial installation some 8 years prior. 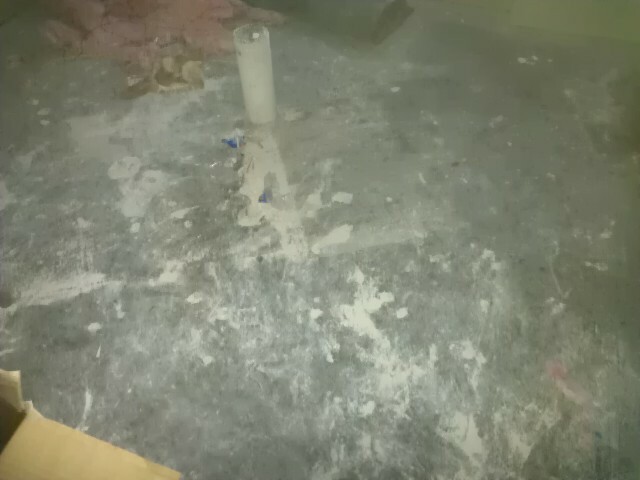 See the dull haze in the before picture? To clean up this travertine floor we honed to remove the damage then polished it back to a nice high sheen. This travertine had quite a bit of factory fill that were not level with the tile, with these we filled and shaved flush where necessary. 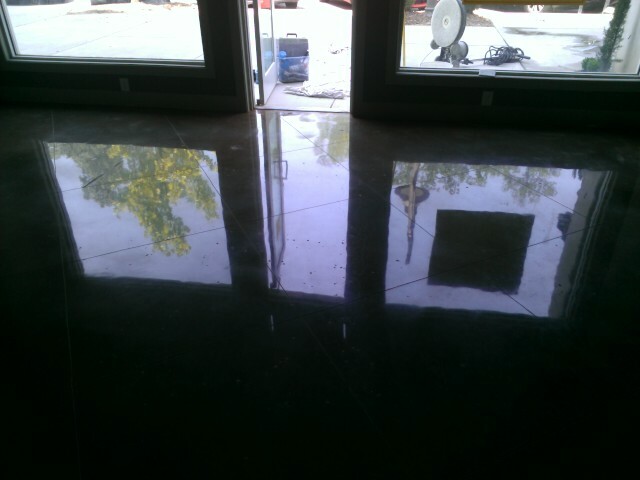 In the second picture I tried to capture a half way done floor, before we moved the piano (those are fun for sure!). 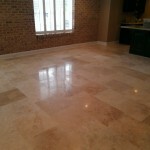 Travertine restoration at its finest, we love these projects! Finally catching up on some interesting projects. 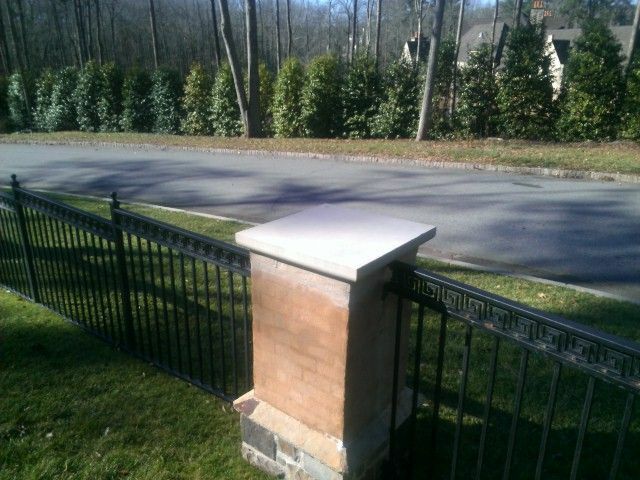 This one was a little different, in that we did this project some time ago, but I have returned recently for an inspection of another project. 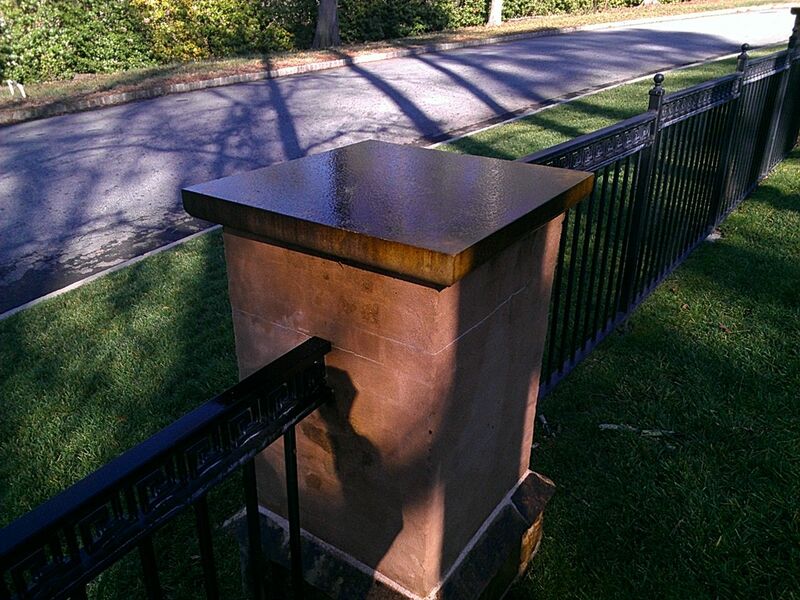 While there I was able to see how the cleaning and sealing of the exterior porch, walls and pillars were holding up. 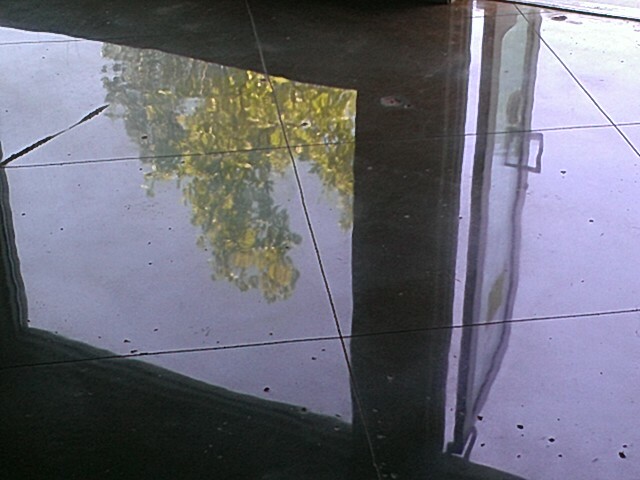 Exterior cleaning is most typically done via high pressure alone, I see it all the time. 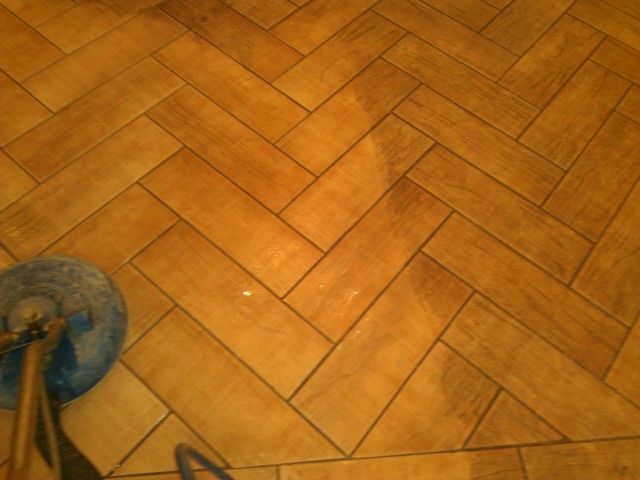 When that method is used, you usually see the marks or patterns the technician haphazardly placed into the surface. 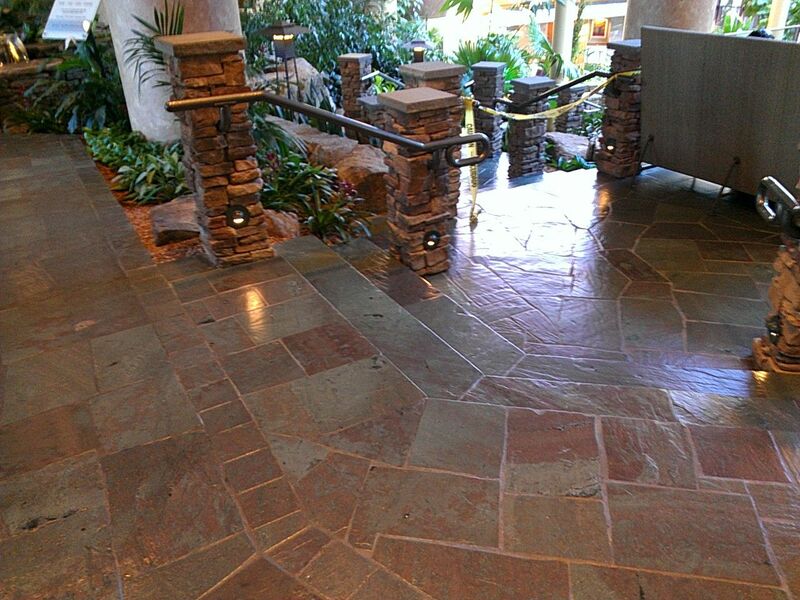 De-greasing or loosening of the embedded soils is a very important part of exterior cleaning, but usually ingnored. 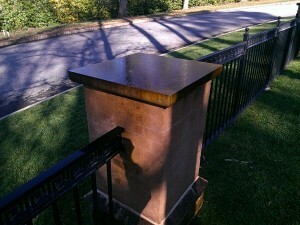 I will not give a lesson on exterior stone cleaning with this post, but I wanted to show the difference when a plan is executed properly. 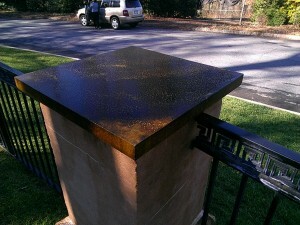 After the surface was dry, we applied a special exterior sealer that will prevent the future growth of mold and mildew. Two years later the pillar in this picture looks the same!! Before and after pictures of Exterior Stone Cleaning in Buckhead. 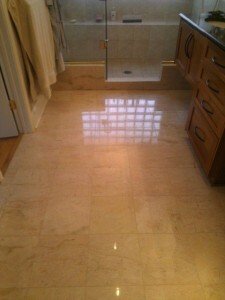 This project was a rather large one that involved a lot of Limestone Cleaning. Luckily there were no topical sealers applied previously, this allowed us to just de-grease and steam clean the Limestone. 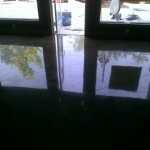 Periodically we would remove small blemishes or damage and match the factory sheen. 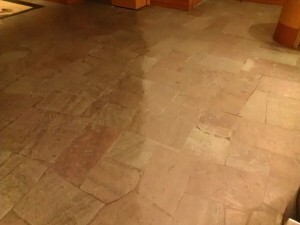 We then dry the limestone and seal with an impregnating sealer for stain prevention. Limestone typically is a very porous and rough textured stone. 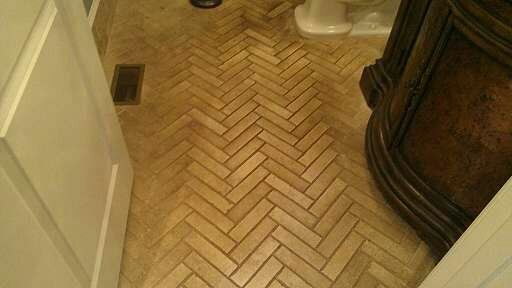 That texture makes routine cleaning necessary to keep the floor looking great. 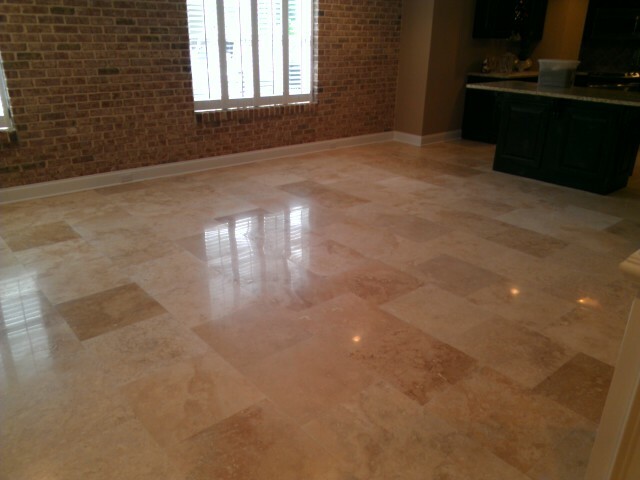 Here is a quick picture of limestone cleaning in Sandy Springs, GA.
We recently cleaned and repaired a travertine floor in Marietta. 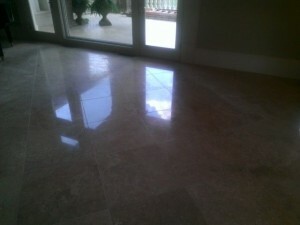 This floor, along with most in the home had been covered with quite a few acrylic shine products over the years. 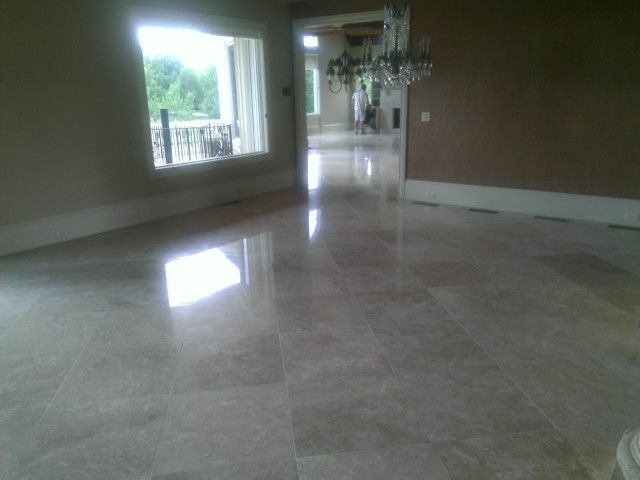 The new homeowners wanted the floors back to their natural state, I will have some posts regarding the other floors in this home soon. 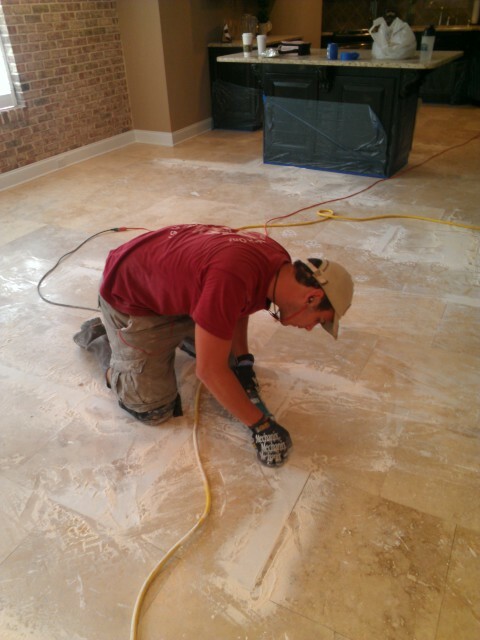 We began by stripping the acrylic products, fortunately there was not a lot of it here compared with the rest of the home. 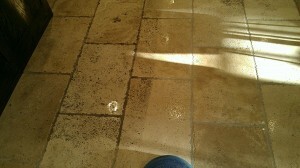 After stripping, we then de-greased and pressure steam cleaned the stone. 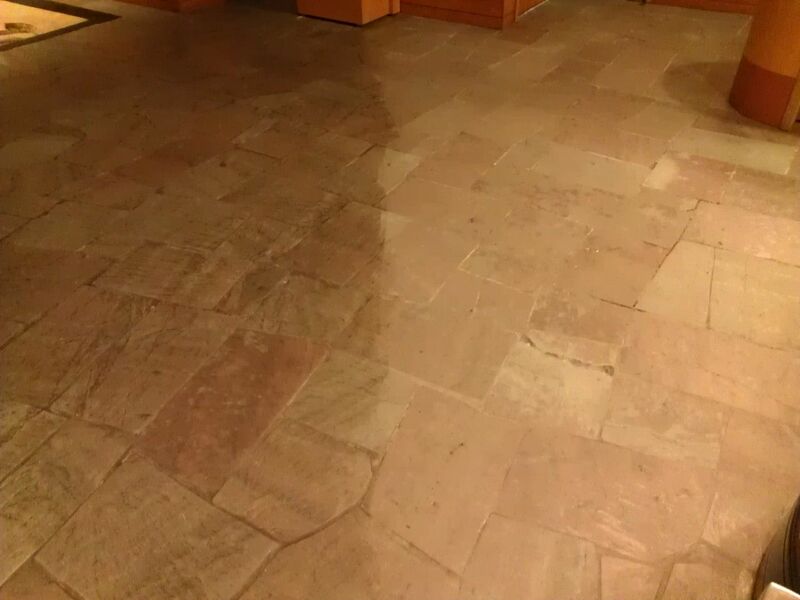 Travertine cleaning results are very effective when using pressure cleaning, it allows us to get deep into the voids and pores of the stone. 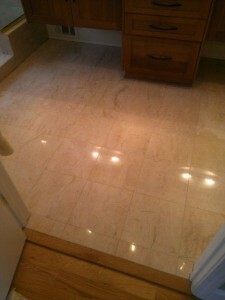 Once we had the travertine cleaned, we could inspect it for acid damage. There were only a few acid damage spots around the toilet that we quickly restored. 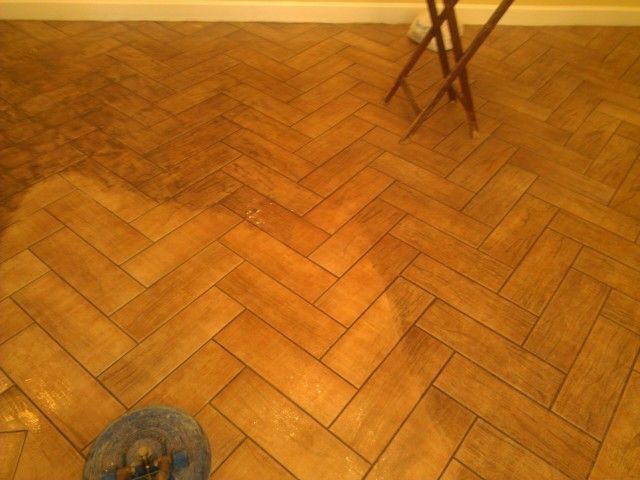 Dry the floor and seal with an impregnating sealer and it looks as good as new! I love these results!! 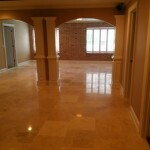 This project we completed in the last couple weeks. The space is going to be the condominium sales office in a now thriving section of Woodstock, GA. 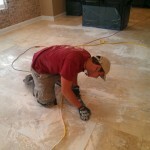 The goal was a polished concrete floor, dyed with a sand color and 36″ diagonal saw cuts. 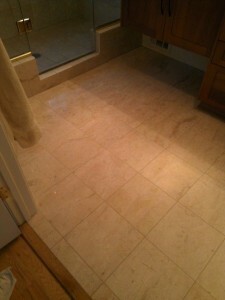 Existing imperfections in the slab were to be left and not repaired to help give them a loft look. The end result looks like a polished leather floor with the coloring. Very cool! When your travels take you to Woodstock,GA stop in and have a look. All of the passers by were very impressed. 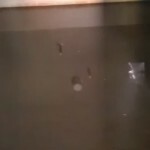 My apologies for the pictures, there was no power or lights in the space while we worked. 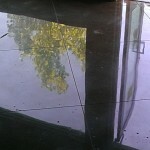 For the pictures I tried to use the outside lighting/ trees/ clouds to show the floor. I need to take a photography class!